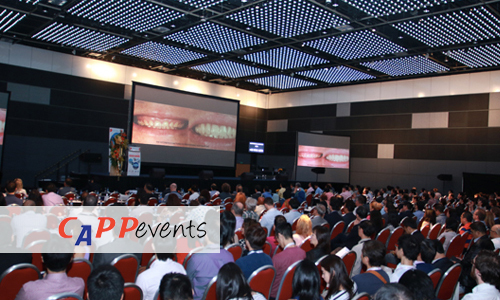 Following the 4rd edition of the conference’s overwhelming success in 2017 (950 dental professionals, 23 speakers all together from 50 countries and over 28 CE Credits), the 5th CAD/CAM & Digital Dentistry International Conference (#CADCAMSingapore) will be held on 17-18 August 2019 at Suntec in Singapore. Over 30 Presentations from more than 20 world-class speakers who will showcase presentations in Digital Dentistry, CAD/CAM Chairside & Lab, Aesthetics, 3D Printing, Diagnostic Dentistry, CBCT, Aesthetic approach to CAD/CAM Materials, Smile Design, Smile Analysis, Prosthodontic Dentistry, Digital Orthodontics, Periodontology, Implantology, Pediatric Dentistry and Dental Laboratories. Over the last thirteen years CAD/CAM & Digital Dentistry has played a key role in underpinning the scientific understanding of digital dentistry. This is still very important today and the conference program addresses how to achieve effective results whilst updating delegates with the latest tips and tricks. To meet the goal, the Scientific Committee has selected a multitude of scientific sessions, panels, and problem-based cases that will provide both intensive learning through handson experiences and practitioners from diverse disciplines. Recent findings with clinical implications, practical tips and tricks, marketing, and emerging technologies will be covered through interactive sessions and live demonstrations, alongside essential knowledge revision and update sessions as well as hands-on demonstrations and practicals. We look forward to sharing those exciting days with you during the August milestone 5th edition of the Asia-Pacific CAD/CAM & Digital Dentistry International Conference 2019! CAPP Asia reserves the right to cancel, postpone or modify the announced course content, limit enrollment, or change the location, time, date, or speakers due to unforeseen circumstances. The full list of presenter will be confirmed and listed soon. At the 4th edition of the CAD/CAM in 2017 there were 30 international speakers from 15 countries. You can expect a similar line up of world class star again this time.